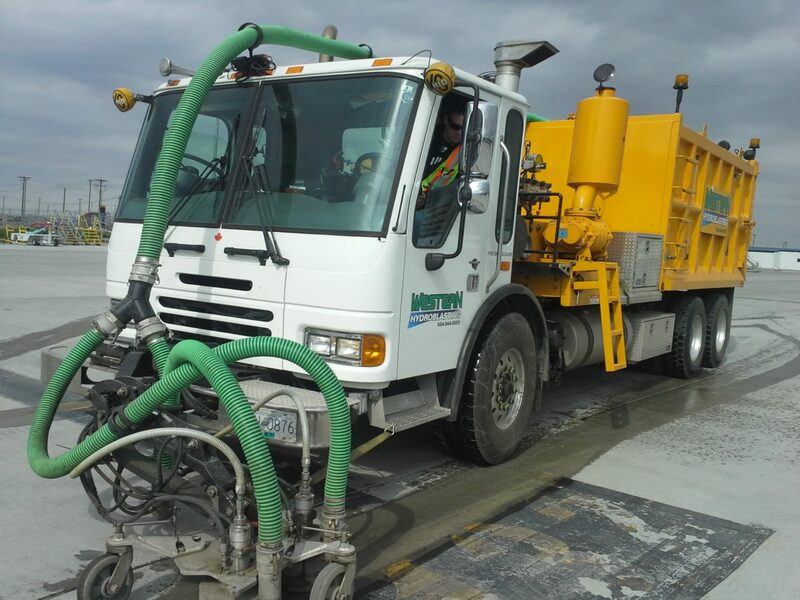 Whether it’s removing center line or skip line to accommodate road realignment or eradicating crosswalks and stop bars to reconfigure an intersection, the Western Hydroblasting SH 8000 removes paint and thermoplastic pavement markings quickly and efficiently. With all of the necessary components on a single chassis, our unique truck mounted hydroblasting system is highly manouverable and easily operated by a single individual. When additional flexibility is required, our manually operated walk-behind unit is readily attached to the main systems of the truck. It also removes and recovers all forms of road markings, pedestrian markings and car park markings, allowing us to eradicate in tough to get at areas. UHP hydroblasting reaches into the pores of the asphalt, removing the existing paint or thermoplastic while protecting the surface from unnecessary damage. While a small measure of the asphalt fines may break away, the surface plane of the asphalt remains unscarred. 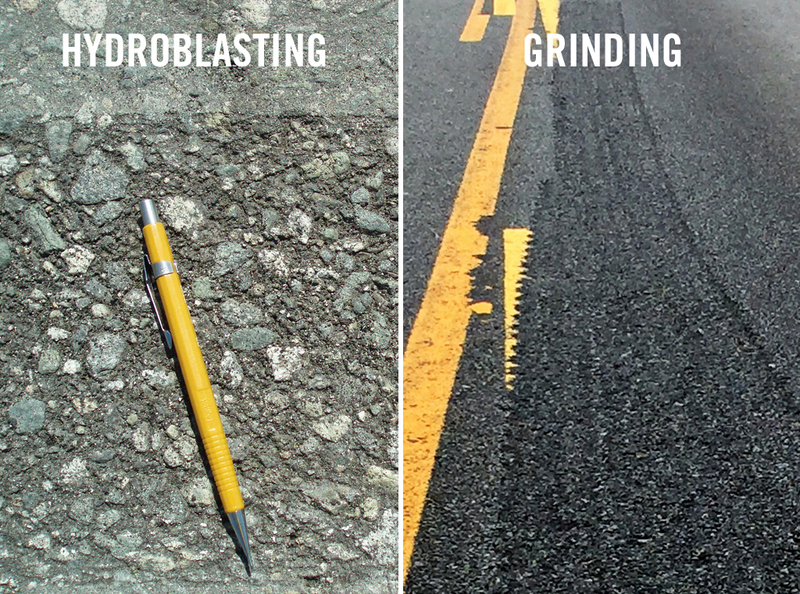 When road markings are removed with a grinder, the traditional method of marking removal, scarring will occur. In freezing temperatures; rain, snow and ice can collect in these scarred areas, creating a conflicting marking to motorists and potentially unsafe driving conditions. In contrast, you will not feel any change in the surface of the pavement when driving over an area where road markings have been removed by hydroblasting. Because UHP hydroblasting uses no additives or chemicals and creates no dust or grindings, your employees, the public and the environment are all protected from contaminants normally associated with the marking removal process. The powerful on-board Roots blower system instantly recovers and contains the liquid and solid debris, further protecting the surrounding environment and eliminating the need for extra manpower and secondary equipment on your projects. Our Western Hydroblasting SH 8000 represents the cleanest and most effective pavement marking removal technology available today.